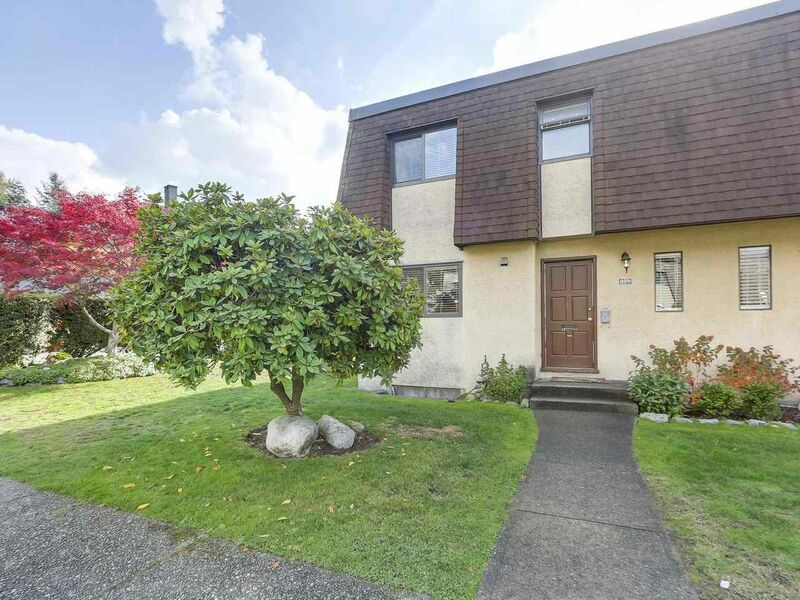 Family friendly townhome in a great location with easy access to all of the North Van outdoor recreation. This END unit comes with lots of recent updates. New Kitchen, flooring, lighting, decking and more. Bright open floor plan on the main level featuring an oversized Kitchen with stainless steel appliances, a large dining space and a big living room with a beautiful stone faced wood burning fireplace. Glass sliders from the living room access the SOUTH facing fully fenced deck and garden. The deck is a lovely extension of your living space. Upstairs are 3 generous sized bedrooms and an updated bathroom. The basement offers a finished recreation room and tons of storage space. This Strata is very well run and the buildings are well maintained.